1. In a heavy small pan over very low heat or in a double-boiler, melt the German sweet chocolate, chocolate morsels, and shortening. Stir until smooth, and cool to room temperature. 2. Prepare pan by lining it with foil or parchment. 3. Combine sifted flour, baking soda, and salt. Mix well. 4. In a food processor or with an electric mixer, beat eggs until light in color. Add sugar, vanilla extract, and brandy. Beat until well blended. 5. Stir chocolate mixture into egg mixture, and then add flour mixture just to blend. 6. Pour batter into prepared pan, and smooth top. Baked in the center of the over 20 - 25 minutes (18 - 22 minutes for glass pans) or until the top is shiny. 7. Cool in pan on a rack at least 2 hours. Loosen edges of cake from pan, and invert onto a plate. Gently peel away paper. 8. Prick the cake at 1 1/2-inch intervals with a wooden toothpick, and evenly pour 3 tablespoons of Irish cream liqueur over the surface. Be sure each tablespoon is absorbed before pouring on the next. Let stand for 30 minutes; cover with plastic wrap and chill. 9. Make Irish Cream Frosting (recipe below), and spread smoothly over the surface of the brownie. Sprinkle with chocolate mini-morsels, if desired, and chill again until frosting is firm. 10. About a hour before serving, remove brownie from the refrigerator, and cut into bars. 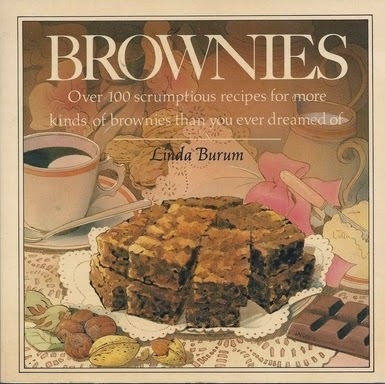 Serve brownies at room temperature. 1. Combine butter with egg yolk and Irish cream liqueur. Mix as well as possible. 2. Gradually add powdered sugar. Beat well with a mixer or wire whisk. If frosting is very runny, add a little more powdered sugar. Frosting will firm up when chilled.